In my ‘mom circles’ I’ve recently been seeing a lot of advertising for various kinds of body/belly applicator wraps. One brand called ItWorks describes their product as “non-woven cloth wrap that has been infused with a powerful, botanically-based formula to deliver maximum tightening, toning, and firming results where applied to the skin.” They run about $30-40 a wrap and you can even have wrap parties with all your friends. The idea sounded great especially since I’m very conscious about my post baby belly, but I’m also extremely skeptical of many of these companies. I figured there was probably a cheaper way, and I think I may have found it! Then get some saran wrap, wrap your belly tight and tape! Now it’s time to wait…I waited about 1 1/2 hour before removing my wrap and I probably would not go past 2. Once you’re out of the shower or bath, dry off and put on a moisturizer of your choice and voila! I’m not exactly sure how the “official wraps” work, as it was hard finding any scientific information on the sites. I believe mine is a combination of vitamin E oil toning tightening while the wrap makes you sweat out water weight. It’s not permanent, but can definitely help the appearance of loose skin if done every couple weeks. *I’d recommend drinking some water before because you don’t want to dehydrate yourself. Hey all! 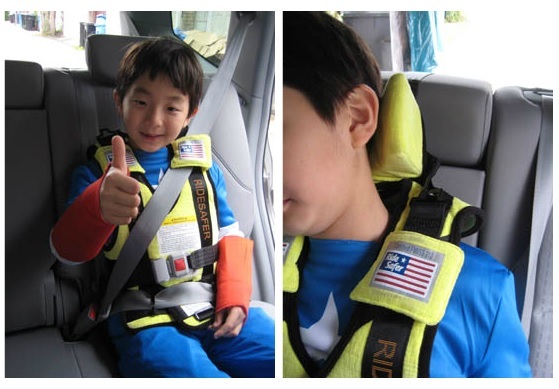 I wanted to share some information on a nifty child restraint system called RideSafer. It is a wearable belt positioning vest that’s an ideal booster substitute for travel, car pooling, and tight 3 across situations. Not recommended for everyday use and children must be booster ready to use this product! It’s also not FAA approved so it can not be used on airplanes. There are two models of the vest. 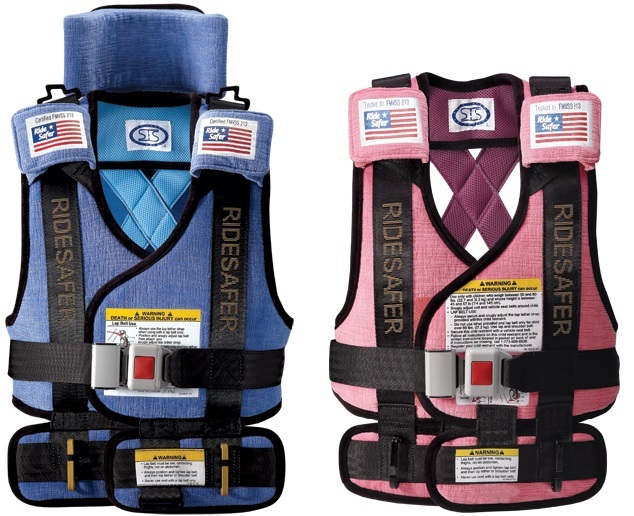 RideSafer3 can only be used with lap and shoulder belt and RideSafer2 has the option to be tethered with lap belt only. It comes in various colors and is exclusively sold in the United States. Head on over to www.safetrafficsystem.com for more information. Happy 2013 everyone! The holidays have come and gone now it’s time to get back in the swing of things. I hope you all enjoyed the past few weeks and have had a wonderful start to this new year. I’m sad the season is over and now all our Christmas decor is down. 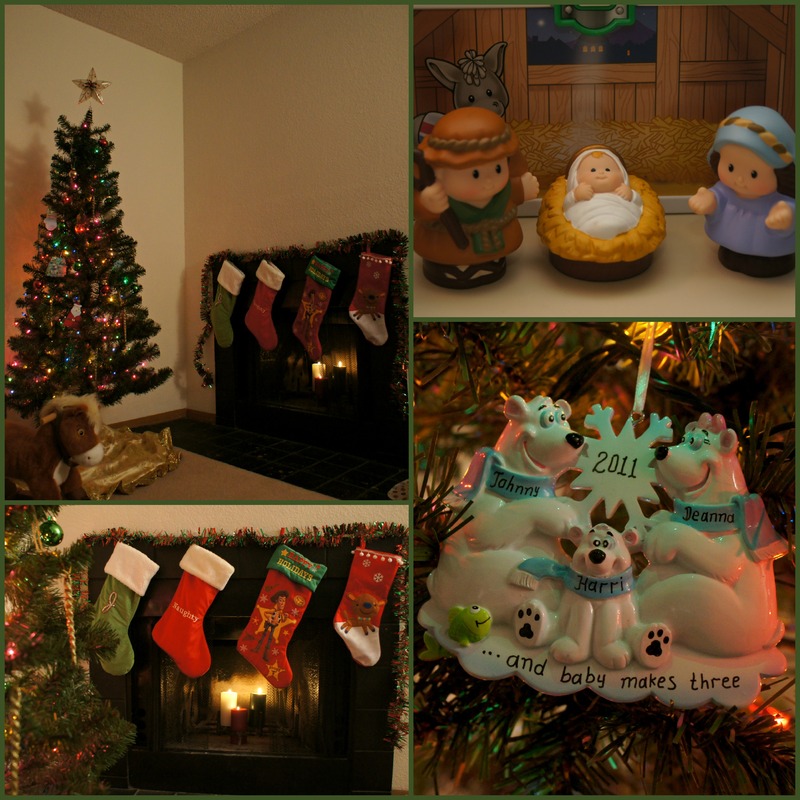 It makes our apartment so much warmer; keeping them up all year was a tantalizing idea. Although I am looking forward to the lovely spring weather that’s ahead. We finally got some snow here which was an excellent belated Christmas/New Year gift. It’s just not winter without a good snow. It didn’t last too long, but enough for us to play stand in it! I have lots of fun and delicious recipes, information on some great new car seats, and a lot more I can’t wait to share! I’m looking forward to what 2013 brings. So you want to make a turkey but are looking for something a little smaller and simpler than the traditional Thanksgiving preparation? Have I got the recipe for you! Making this slow cooked turkey breast is easy and it tastes delicious. Rinse the turkey breast and pat dry. Salt & pepper the breast to your liking then place it in the slow cooker, breast side down. Cut your onion into large chunks then push some pieces down next to the turkey. Also place a few in the rib cavity. Then add your stick of butter to the rib cavity. Lastly, pour your wine over the turkey. *Using a meat thermometer check the internal temperature; it should read 170°. Remove from slow cooker and let stand for approximately 20 minutes before serving. Winter Car Seat Safety Tips! Brace yourselves, winter is coming! That means us parents have to keep our kiddos bundled up as we head out into the Arctic, but wait! Before you put your precious cargo in their car seat with those thick coats on or in their infant carrier with the Bundle Me or Cuddle Bag there are a few safety concerns you should be aware of! Many winter accessories can affect how a child fits in a seat which could then alter the fit of the straps. In an accident if the straps aren’t properly secured ejection is possible. Many people use the bunting style covers like the Bundle Me and Cuddle Bags for infant carriers because of their convenience. The back of these buntings are bulky and go between baby and seat. 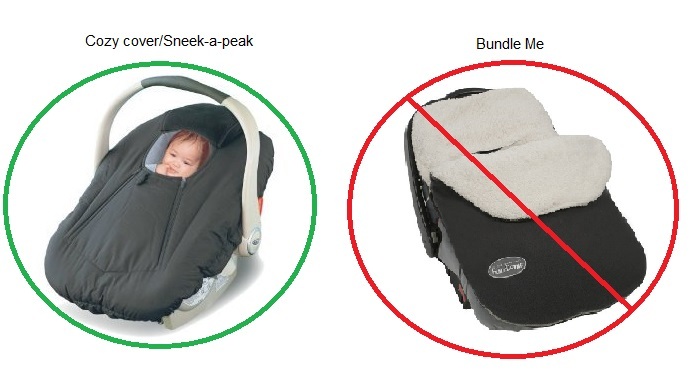 Nothing more than a single layer of fleece should be put between a child and their car seat because it could lead to a false fit (Unless approved by the manufacturer). These style covers also require the harness to be threaded through the back to secure it. When threading the harness it usually won’t match up with the location of the cover slots causing twisting of the straps which can also cause malfunction. Another important point is that these are after market products. When reading your manual, which you should always do, you will see somewhere, probably in bright red or yellow, it states not to use after market products with your seat. The main reason for this is they have not been crash tested by the manufacturer or some products have been tested but did not pass. You can always call the 1-800 number in your manual and check with the manufacturer directly about a product! Put the coat or suite on the child and fasten them in their seat making sure the harness fits as best as possible with chest clip at armpit level. Take the child out of the car seat without loosening or adjusting the harness. Remove the coat and then put the child back in the car seat. Fasten them in again, but this time do not tighten the harness! If you have to tighten it for the proper fit the coat is too thick and is not safe. If you own a bag style cover one way to make it safe is to cut the back out. I wouldn’t recommend you buy one just to chop it up, but if you have already spent the money and can’t return it this is a simple solution. If you can spend money on a new cover or have yet to buy one I would recommend the “shower cap” style like a Cozy Cover or Jolly Jumper Sneek-a-peak. These go over top of the seat similar to a shower cap and don’t interfere with any of the seats mechanics. I received the Sneek-a-peak as a gift and I absolutely loved it! It kept Harri so warm on the cold snowy day, and it wasn’t a hassle putting it on and off. *If you have a bunting style cover it can be used in strollers! Single layer fleece jackets are another great, safe option for a child in any seat, but depending on where you live you might want something a little warmer or simpler. Ponchos are a great alternative! The poncho simply drapes around the seat keeping your child warm underneath. If you’re crafty you can make them, or if you’re like me and lacking those domestic skills you can purchase The Car Seat Poncho. One option that might be a little easier for those with older children is simply having them remove the coat before getting in their seat, buckling up, and wearing the coat backwards atop the straps (think Snuggie style)! 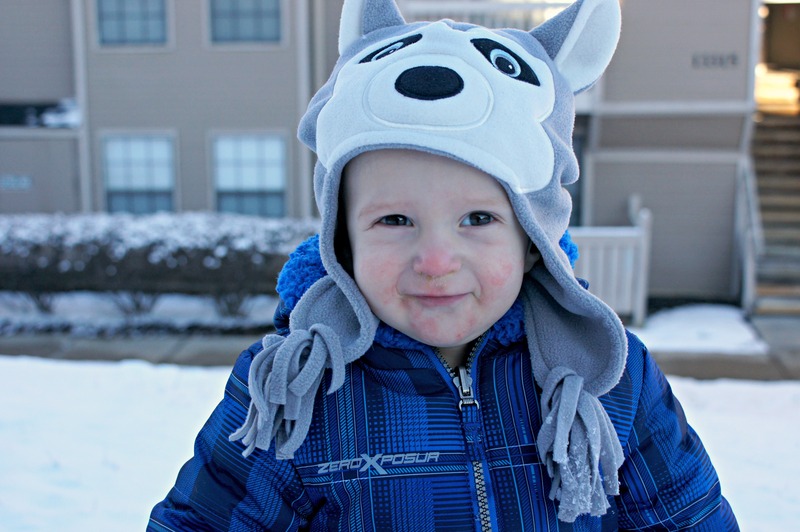 These are just a few ideas on how to keep your child safe and warm in the car this winter! I hope they were of use to someone, somewhere. Remember, always read your manual and kiss your baby goodnight! Find a Child Passenger Safety Technician in your area! As I reflect on the past year I am amazed at how fast time has gone by. My little helpless, sleepy baby is now a mischievous little toddler and it only took what seems like a blink of an eye! This first year has been filled with so many memorable milestones. His first smile, rolling over, first laugh, sitting up, crawling, standing, and walking, to name a few, and I know there are so many more to come! I’ve learned so much about life, love, family, and what it means to be a mother. I’ve never been filled with more joy than the moment I held my baby boy for the first time while his daddy stood next to me holding my hand. So many days I wish I could go back to that point and slow time down. Sometimes I feel like I haven’t cherished all the moments and time we have spent together this past year; even though we are together almost 24/7. I just can’t get enough of my sweet little boy’s love! 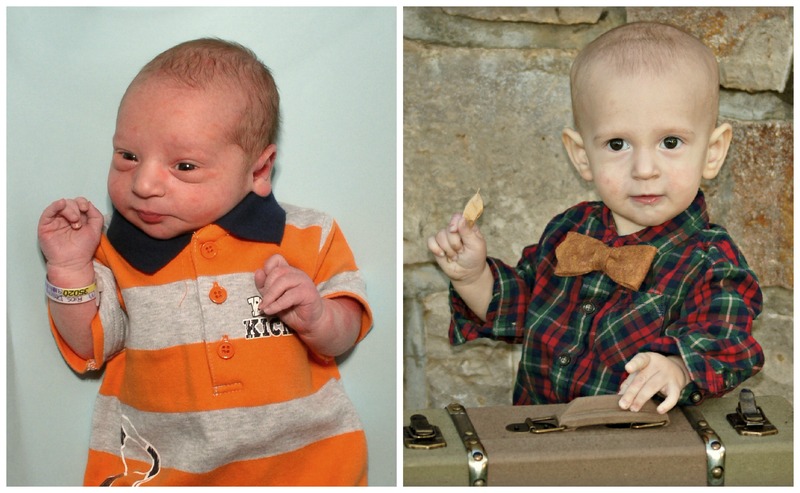 While I don’t want my baby to grow up, I am so excited to see what his future holds. Will he be witty, charming, laid back, or outspoken? What will his favorite subject be? Will he like Star Wars?…He better! I’m sure these coming years will only go faster, but I will appreciate every moment. His life Our life is only just beginning.